Tenants often sign a very long term, e.g. 20 years absolute triple net (NNN) leases. This means, besides the rent, tenants also pay for property taxes, insurance and all maintenance expenses. The only thing the investor has to pay is the mortgage, which in turn offers very predictable cash flow. There are either no or few landlord responsibilities because the tenant is responsible for maintenance. This allows the investor more time to do important thing in life, e.g. retire. All you do is take the rent check to the bank. This is one of the key benefits in investing in a restaurant or single-tenant property. Whether rich or poor, people need to eat. Americans are eating out more often as they are too busy to cook and cleanup the pots & pans afterwards which often is the worst part! According to the National Restaurant Association, the nation's restaurant industry currently involves 937,000 restaurants and is expected to reach $537 billion in sales in 2007, compared to just $322 billion in 1997 and $200 billion in 1987 (in current dollars). In 2006, for every dollar Americans spend on foods, 48 cents were spent in restaurants. As long as there is civilization on earth, there will be restaurants and the investor will feel comfortable that the property is always in high demand. You know your tenants will take very good care of your property because it's in their best interest to do so. Few customers, if any, want to go to a restaurant that has a filthy bathroom and/or trash in the parking lot. However, restaurants are not created equal, from an investment viewpoint. One often hears that 9 out of 10 new restaurants will fail in the first year; however, this is just an urban myth as there are no conclusive studies on this. There is only a study by Associate Professor of Hospitality, Dr. H.G. Parsa of Ohio State University who tracked new restaurants located in the city Columbus, Ohio during the period from 1996 to 1999 (Note: you should not draw the conclusion that the results are the same everywhere else in the US or during any other time periods.) Dr. Parsa observed that seafood restaurants were the safest ventures and that Mexican restaurants experience the highest rate of failure in Columbus, OH. His study also found 26% of new restaurants closed in the first year in Columbus, OH during 1996 to 1999. Besides economic failure, the reasons for restaurants closing include divorce, poor health, and unwillingness to commit immense time toward operation of the business. Based on this study, it may be safe to predict that the longer the restaurant has been in business, the more likely it will be operating the following year so that the landlord will continue to receive the rent. For franchised restaurants, a franchisee has to have a certain minimal amount of non-borrowed cash/capital, e.g. $300,000 for McDonald's, to qualify. The franchisee has to pay a one-time franchisee fee about $30,000 to $50,000. In addition, the franchisee has contribute royalty and advertising fees equal to about 4% and 3% of sales revenue, respectively. In turn, the franchisee receives training on how to set up and operate a proven and successful business without worrying about the marketing part. As a result, a franchised restaurant gets customers as soon as the open sign is put up. Should the franchisee fail to run the business at the location, the franchise may replace the current franchisee with a new one. The king of franchised hamburger restaurants is the fast-food chain McDonald's with over 32000 locations in 118 countries (about 14,000 in the US) as of 2010. It has $34.2B in sales in 2011 with an average of $2.4M in revenue per US location. McDonald's currently captures over 50% market share of the $64 billion US hamburger restaurant market. Its sales are up 26% in the last 5 years. Distant behind is Wendy's (average sales of $1.5M) with $8.5B in sales and 5904 stores. Burger King ranks third (average sales of $1.2M) with $8.4B in sale, 7264 stores and 13% of the hamburger restaurant market share (among all restaurant chains, Subway is ranked number two with $11.4B in sales, 23,850 stores, and Starbucks number 3 with $9.8B in sales and 11,158 stores). McDonald's success apparently is not the result of how delicious its Big Mac tastes but something else more complex. Per a survey of 28,000 online subscribers of Consumer Report magazine, McDonald's hamburgers rank last among 18 national and regional fast food chains. It received a score of 5.6 on a scale of 1 to 10 with 10 being the best, behind Jack In the Box (6.3), Burger King (6.3), Wendy's (6.6), Sonic Drive In (6.6), Carl's Jr (6.9), Back Yard Burgers (7.6), Five Guys Burgers (7.9), and In-N-Out Burgers (7.9). Fast-food chains tend to detect new trends faster. For example, they are open as early as 5AM as Americans are increasingly buying their breakfasts earlier. They are also selling more cafe; latte; fruit smoothies to compete with Starbucks and Jumba Juice. You also see more salads on the menu. This gives customers more reasons to stop by at fast-food restaurants and make them more appealing to different customers. With independent restaurants, it often takes a while to for customers to come around and try the food. These establishments are especially tough in the first 12 months of opening, especially with owners of minimal or no proven track record. So in general, "mom and pop" restaurants are risky investment due to initial weak revenue. If you choose to invest in a non-brand name restaurant, make sure the return is proportional to the risks that you will be taking. Sometimes it is not easy for you to tell if a restaurant is a brand name or non-brand name. Some restaurant chains only operate, or are popular in a certain region. For example, WhatABurger restaurant chain with over 700 locations in 10 states is a very popular fast-food restaurant chain in Texas and Georgia. However, it is still unknown on the West Coast as of 2012. Brand name chains tend to have a website listing all the locations plus other information. So if you can find a restaurant website from Google or Yahoo you can quickly discern if an unfamiliar name is a brand name or not. You can also obtain basic consumer information about almost any chain restaurants in the US on Wikipedia. Five Guys Burgers and Fries with $921M in sales and 32.8% change. Chipotle Mexican Grill with $2.261B in sales and 23.4% change. Jimmy John's Gourmet Sandwich Shop with $895M in sales and 21.8% change. Yard House with $262M in sales and 21.5% change. Firehouse Subs with $285M in sales and 21.1% change. BJ's Restaurant & Brewhouse with $621M in sales and 20.9% change. Buffalo Wild Wings Grill & Bar with $2.045B in sales and 20.1% change. Raising Cane's Chicken Fingers with $206M in sales and 18.2% change. Noodles & Company with $300M in sales and 14.9% change from. Wingstop with $382M in sales and 22.1% change. In general, the stronger the guaranty the lower the return of your investment. The guaranty by McDonald's Corporation with a strong "A" S&P corporate rating of a public company is much better than a small corporation owned by a franchisee with a few restaurants. Consequently, a restaurant with a McDonald's corporate lease normally offers low 4.5-5% cap (return of investment in the 1st year of ownership) while McDonald's with a franchisee guaranty (over 75% of McDonalds restaurants are owned by franchisees) may offer 5-6% cap. So figure out the amount of risks you are willing to take as you won't get both low risks and high returns in an investment. Sometimes a multi-location franchise will form a parent company to own all the restaurants. Each restaurant in turn is owned by a single-entity Limited Liabilities Company (LLC) to shield the parent company from liabilities. So the rent guaranty by the single-entity LLC does not mean much since it does not have much assets. A good, long guaranty does not make a lemon a good car. Similarly, a strong guaranty does not make a lousy restaurant a good investment. It only means the tenant will make every effort to pay you the rent. So don't judge a property primarily on the guaranty. The guaranty is good until the corporation that guarantees it declares bankruptcy. At that time, the corporation reorganizes its operations by closing locations with low revenue and keeping the good locations, (i.e. ones with strong sales). So it's more critical for you to choose a property at a good location. If it happens to have a weak guaranty, (e.g. from a small, private company), you will get double benefits: on time rent payment and high return. If you happen to invest in a "mom & pop" restaurant, make sure all the principals, e.g. both mom and pop, guarantee the lease with their assets. The guaranty should be reviewed by an attorney to make sure you are well protected. High traffic volume: this will draw more customers to the restaurant and as a result high revenue. So a restaurant at the entrance to a regional mall or Disney World, a major shopping mall, or colleges is always desirable. Good visibility & signage: high traffic volume must be accompanied by good visibility from the street. This will minimize advertising expenses and is a constant reminder for diners to come in. Ease of ingress and egress: a restaurant located on a one-way service road running parallel to a freeway will get a lot of traffic and has great visibility but is not at a great location. It's hard for potential customers to get back if they miss the entrance. In addition, it's not possible to make a left turn. On the other hand, the restaurant just off freeway exit is more convenient for customers. Excellent demographics: a restaurant should do well in an area with a large, growing population and high incomes as it has more people with money to spend. Its business should generate more and more income to pay for increasing higher rents. Lots of parking spaces: most chained restaurants have their own parking lot to accommodate customers at peak hours. If customer cannot find a parking space within a few minutes, there is a good chance they will skip it and/or won't come back as often. A typical fast food restaurant will need about 10 to 20 parking spaces per 1000 square feet of space. Fast food restaurants, e.g. McDonald's will need more parking spaces than sit down restaurants, e.g. Olive Garden. High sales revenue: the annual gross revenue alone does not tell you much since larger--in term of square footage--restaurant tends to have higher revenue. So the rent to revenue ratio is a better gauge of success. Please refer to rent to revenue ratio in the due diligence section for further discussion. High barriers to entry: this simply means that it's not easy to replicate this location nearby for various reasons: the area simply does not have any more developable land, or the master plan does not allow any more construction of commercial properties, or it's more expensive to build a similar property due to high cost of land and construction materials. For these reasons, the tenant is likely to renew the lease if the business is profitable. In general, the interest rate is a bit higher than average for restaurants due to the fact that they are single-tenant properties. To the lenders, there is a perceived risk because if the restaurant is closed down, you could potentially lose 100% of your income from that restaurant. Lenders also prefer national brand name restaurants. In addition, some lenders will not loan to out-of-state investors especially if the restaurants are located in smaller cities. So it may be a good idea for you to invest in a franchised restaurant in major metro areas, e.g. Atlanta, Dallas. In 2009 it's quite a challenge to get financing for sit-down restaurant acquisitions, especially for mom and pop and regional restaurants due to the tight credit market. However, things seem to have improved a bit in 2010. If you want to get the best rate and terms for the loan, you should stick to national franchised restaurants in major metros. When the cap rate is higher than the interest rate of the loan, e.g. cap rate is 7.5% while interest rate is 6.5%, then you should consider borrowing as much as possible. You will get 7.5% return on your down payment plus 1% return for the money you borrow. Hence your total return (cash on cash) will be higher than the cap rate. Additionally, since the inflation in the near future is expected to be higher due to rising costs of fuel, the money which you borrow to finance your purchase will be worth less. So it's even more beneficial to maximize leverage now. Tenant's financial information: The restaurant business is labor intensive. The average employee generates only about $55,000 in revenue annually. The cost of goods, e.g. foods and supplies should be around 30-35% of revenue; labor and operating expenses 45-50%; rent about 7-12%. So do review the profits and loss (P&L) statements, if available, with your accountant. In the P&L statement, you may see the acronym EBITDAR. It stands for Earnings Before Income Taxes, Depreciation (of equipment), Amortization (of capital improvement), and Rent. If you don't see royalty fees in P&L of a franchised restaurant or advertising expenses in the P&L of an independent restaurant, you may want to understand the reason why. Of course, we will want to make sure that the restaurant is profitable after paying the rent. Ideally, you would like to see net profits equal to 10-20% of the gross revenue. In the last few years the economy has taken a beating. As a result, restaurants have experienced a decrease in gross revenue of around 3-4%. This seems to have impacted most, if not all, restaurants everywhere. In addition, it may take a new restaurant several years to reach potential revenue target. So don't expect new locations to be profitable right away even for chained restaurants. Tenant's credit history: if the tenant is a private corporation, you may be able to obtain the tenant's credit history from Dun & Bradstreet (D&B). D&B provides Paydex score, the business equivalent of FICO, i.e. personal credit history score. This score ranges from 1 to 100, with higher scores indicating better payment performance. A Paydex score of 75 is equivalent to FICO score of 700. So if your tenant has a Paydex score of 80, you are likely to receive the rent checks promptly. Rent to revenue ratio: this is the ratio of base rent over the annual gross sales of the store. 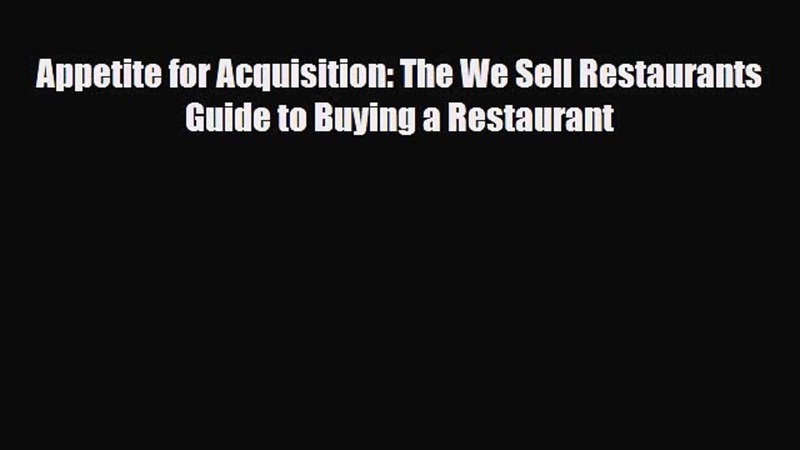 It is a quick way to determine if the restaurant is profitable, i.e. the lower the ratio, the better the location. As a rule of thumb you will want to keep this ratio less than 10% which indicates that the location has strong revenue. If the ratio is less than 7%, the operator will very likely make a lot of money after paying the rent. The rent guaranty is probably not important in this case. However, the rent to revenue ratio is not a precise way to determine if the tenant is making a profit or not. It does not take into account the property taxes expense as part of the rent. Property taxes--computed as a percentage of assessed value--vary from states to states. For example, in California it's about 1.25% of the assessed value, 3% in Texas, and as high as 10% in Illinois. And so a restaurant with rent to income ratio of 8% could be profitable in one state and yet be losing money in another. Parking spaces: restaurants tend to need a higher number of parking spaces because most diners tend to stop by within a small time window. You will need at least 8 parking spaces per 1000 Square Feet (SF) of restaurant space. Fast food restaurants may need about 15 to 18 spaces per 1000 SF. Termination Clause: some of the long term leases give the tenant an option to terminate the lease should there be a fire destroying a certain percentage of the property. Of course, this is not desirable to you if that percentage is too low, e.g. 10%. So make sure you read the lease. You also want to make sure the insurance policy also covers rental income loss for 12-24 months in case the property is damaged by fire or natural disasters. Price per SF: you should pay about $200 to $500 per SF. In California you have to pay a premium, e.g. $1000 per SF for Starbucks restaurants which are normally sold at very high price per SF. If you pay more than $500 per SF for the restaurant, make sure you have justification for doing so. Rent per SF: ideally you should invest in a property in which the rent per SF is low, e.g. $2 to $3 per SF per month. This gives you room to raise the rent in the future. Besides, the low rent ensures the tenant's business is profitable, so he will be around to keep paying the rent. Starbucks tend to pay a premium rent $2 to 4 per SF monthly since they are often located at a premium location with lots of traffic and high visibility. If you plan to invest in a restaurant in which the tenant pays more than $4 per SF monthly, make sure you could justify your decision because it's hard to make a profit in the restaurant business when the tenant is paying higher rent. Some restaurants may have a percentage clause. This means besides the minimum base rent, the operator also pays you a percentage of his revenue when it reaches a certain threshold. Rent increase: A restaurant landlord will normally receive either a 2% annual rent increase or a 10% increase every 5 years. As an investor you should prefer 2% annual rent increase because 5 years is a long time to wait for a raise. You will also receive more rent with 2% annual increase than 10% increase every 5 years. Besides, as the rent increases every year so does the value of your investment. The value of restaurant is often based on the rent it generates. If the rent is increased while the market cap remains the same, your investment will appreciate in value. So there is no key advantage for investing in a restaurant in a certain area, e.g. California. It's more important to choose a restaurant at a great location. Lease term: in general investors favor long term, e.g. 20 year lease so they don't have to worry about finding new tenants. During a period with low inflation, e.g. 1% to 2%, this is fine. However, when the inflation is high, e.g. 4%, this means you will technically get less rent if the rent increase is only 2%. So don't rule out properties with a few years left of the lease as there may be strong upside potential. When the lease expires without options, the tenant may have to pay much higher market rent. Risks versus Investment Returns: as an investor, you like properties that offer very high return, e.g. 8% to 9% cap rate. And so you may be attracted to a brand new franchised restaurant offered for sale by a developer. In this case, the developer builds the restaurants completely with Furniture, Fixtures and Equipment (FFEs) for the franchisee based on the franchise specifications. The franchisee signs a 20 years absolute NNN lease paying very generous rent per SF, e.g. $4 to $5 per SF monthly. The new franchisee is willing to do so because he does not need to come up with any cash to open a business. Investors are excited about the high return; however, this may be a very risky investment. The one who is guaranteed to make money is the developer. The franchisee may not be willing to hold on during tough times as he does not have any equity in the property. Should the franchisee's business fails, you may not be able to find a tenant willing to pay such high rent, and you may end up with a vacant restaurant. Track records of the operator: the restaurant being run by an operator with 1 or 2 recently-open restaurants will probably be a riskier investment. On the other hand, an operator with 20 years in the business and 30 locations may be more likely to be around next year to pay you the rent. Trade fixtures: some restaurants are sold with trade fixtures so make sure you document in writing what is included in the sale. Fast-food versus Sit-down: while fast-food restaurants, e.g. McDonalds do well during the downturn, sit-down family restaurants tend to be more sensitive to the recession due to higher prices and high expenses. These restaurants may experience double-digit drop in year-to-year revenue. As a result, many sit-down restaurants were shut down during the recession. If you consider investing in a sit-down restaurant, you should choose one in an area with high income and large population. He cannot maximize the cash out as lenders often lend only 65% of the property value in a refinance situation. The loan will show as long term debt in the balance sheet which is often not viewed in a positive light. The interest rates may not be as favorable if the restaurant operator does not have a strong balance sheet. He may not be able to find any lenders due to the tight credit market. Conservative market rent: the operator wants to make sure he pays a low rent so his restaurant business has a good chance of being profitable. He also offers conservative cap rate to investors, e.g. 7% cap. As a result, his cash out amount is small to moderate. This may be a low risk investment for an investor because the tenant is more likely to be able to afford the rent. Significantly higher than market rent: the operator wants to maximize his cash out by pricing the property much higher than its market value, e.g. $2M for a $1M property. Investors are sometimes offered high cap rate, e.g. 10%. The operator may pay $5 of rent per square foot in an area where the rent for comparable properties is $3 per square foot. As a result, the restaurant business at this location may suffer a loss due to higher rents. However, the operator gets as much money as possible. This property could be very risky for you. If the tenant's business does not make it and he declares bankruptcy, you will have to offer lower rent to another tenant to lease your building. You buy the building and lease the land owned by another investor on a long-term, e.g. 50 years, ground lease. You buy the land in which the tenant owns the building. This is the most likely scenario. The tenant builds the restaurant with its own money and then typically signs a 20 years NNN lease to lease the lot. If the tenant does not renew the lease then the building is reverted to the landowner. The cap rate is often 1% lower, e.g. 6 to 7.25 percent, compared to restaurants in which you buy both land and building. There are no tax write-offs as the IRS does not allow you to depreciate its land value. So your tax liabilities are higher. The tenants, on the other hand, can depreciate 100% the value of the buildings and equipments to offset the profits from the business. If the property is damaged by fire or natural disasters, e.g. tornados, some leases may allow the tenants to collect insurance proceeds and terminate the lease without rebuilding the properties in the last few years of the lease. Unfortunately, this author is not aware of any insurance companies that would sell fire insurance to you since you don't own the building. So the risk is substantial as you may end up owning a very expensive vacant lot with no income and a huge property taxes bill. Some of the leases allow the tenants not having to make any structure, e.g. roof, repairs in the last few years of the lease. This may require investors to spend money on deferred maintenance expenses and thus will have negative impact on the cash flow of the property. How to invest in commercial real estate. David's blog features a daily list of 10 Best Commercial Properties in 50 states. You are welcome to share this report, unedited and in its entirety, with anyone you like. You may not remove this text. © 2007-2012 Transmercial.